According to a German official, the country’s troops will start leaving a Turkish air base where they are stationed in July. German Defense Minister Ursula von der Leyen revealed the Bundeswehr soldiers would pull out of the Incirlik air base in Turkey after strained relations between the NATO allies. The German troops will be relocated to a new base in Jordan, von der Leyen told German media on Sunday. 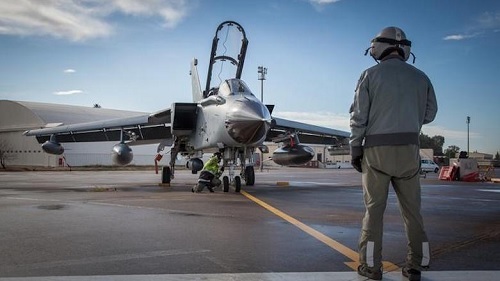 “Until the end of June, our flight plans as part of the anti-Islamic State (IS) coalition are set,” Bild am Sonntag newspaper quoted the Defense Minister. “After that, we’ll be transferring our tanker aircraft as quickly as possible to Jordan,” she added. Germany has over 250 military personnel present at the Incirlik air base. The troops fly Tornado surveillance operations over Syria and refueling flights for partner nations in the coalition against IS. Regarding Germany’s role in the Middle East, von der Leyen stated the country’s transfer of troops would temporarily put the Bundeswehr’s mission in the region on hold.